Hey, don't forget! Our next meeting is next Thursday, September 6th, 2007 at 7:30PM at The Villa, located at 1704 Bush River Rd. If you need directions, feel free to call the store at (803) 731-4376. 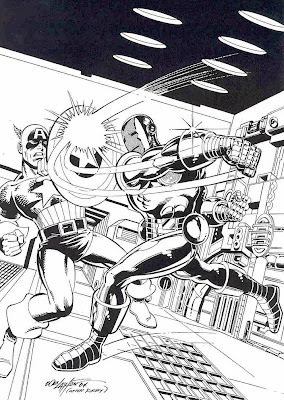 One thing about Civil War that I found strange pretty early on, was the promise of the definitive Captain America / Iron Man fight, announced as if we'd all been sitting around for years waiting to see these two go at it. Weird, huh? I've put in for that day off.